If you were a fan of the classic keyboard, prepare to be disappointed. The last holdout in the laptop world, Lenovo, just gave up the ghost and has now changed over to the Chiclet style keyboard for their 2012 release. What’s the difference? It is all about feel. The classic keyboard has a presence that the typical laptop keyboard cannot replicate. Different from the soft button squish of the Chiclet style, the classic keyboard clicked and depressed with astounding accuracy, making your typing faster, and with less errors. With the Chiclet style, every press is a guess, and the keys are so close together that a thick fingered typist is virtually doomed to rely on spell check to correct the ty and er errors that inevitably pop up. Not to mention the as and nm. Despite the problems, Chiclet keyboards are easier to manufacture and fit in the super-slim laptops now demanded. To counter critics, Lenovo has redesigned the Chiclet keyboard to reflect the issues inherent in it. 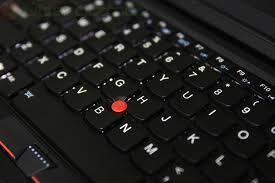 Called a Precision Keyboard, the Lenovo ThinkPad’s 2012 series is debuting the improved style. Whether these improvements will satisfy critics of the Chiclet style is yet to be seen. This guest post is contributed by Debra Johnson, blogger, editor & an experience holder of nanny housekeeper. She welcomes your comments at her email Id: – jdebra84 @ gmail.com.